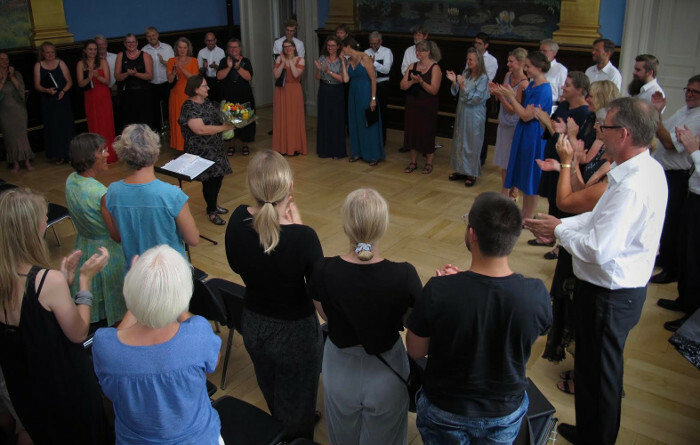 The Fionian Chamber Choir (Det Fynske Kammerkor) celebrated its 30th anniversary in 2018 with a number of concerts which peaked on June 9th in the banquet hall at Odense Town Hall. 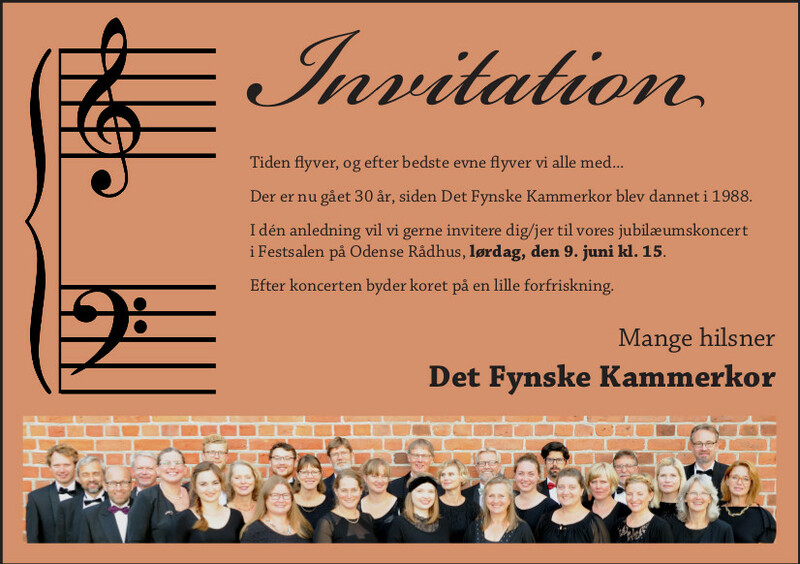 This is the invitation and the concert programme. 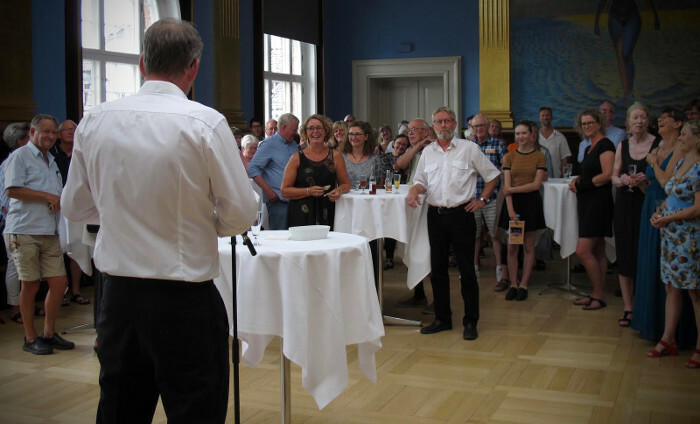 The concert offered music by English composer Ralph Vaughan Williams as well as music from Denmark, the Faroe Islands and other Nordic countries. 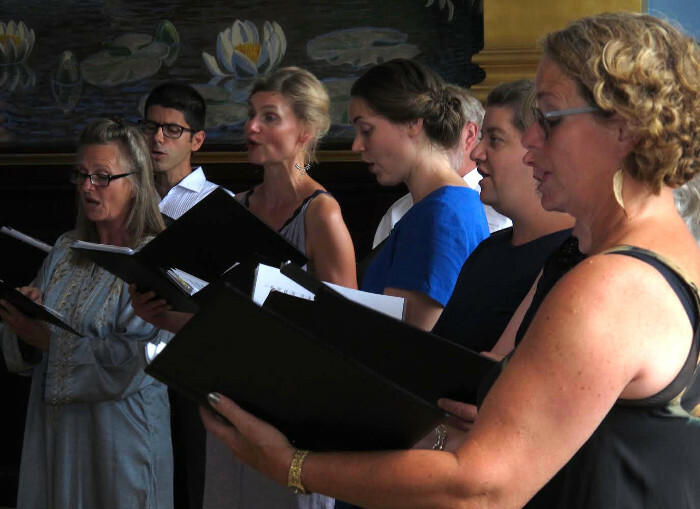 The choir was conducted by Alice Granum. Parts of the programme was repeated during concerts later in 2018.